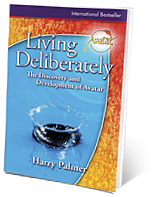 The following is an excerpt from Living Deliberately: The Discovery and Development of Avatar, by Harry Palmer. Summer, 1987. Six months after the first Avatars, we were invited to California to deliver the first West Coast Avatar class. There were supposed to be eleven people waiting to enroll in the class, but just before we arrived I learned that none had actually paid. All were waiting to hear me speak before they made their final decision. This was a surprise to me, because I had not prepared anything to say. Harry Palmer, author of the Avatar materials More surprises came at the airport. Our luggage was still in Pittsburgh, and our friend who picked us up told us that in addition to the eleven probable students, there were another fifty people waiting at his house to hear me speak. What am I going to say? So, dirty, sweaty and tired, I found myself perched on a stool in a California living room with sixty strangers sitting on the floor around me. If the Avatar processes ever worked, they had to now. I closed my eyes and spent a minute handling my own doubts and nervousness. When I applied the processes, all the doubts slipped away. When I opened my eyes, I was definitionless awareness. How are you my friends? Have I got a treat for you! Absolute motionless silence! Sixty people, two babies and a dog, and you could hear the clock on the kitchen wall tick. It was so quiet that it finally unnerved the dog, and he surprised himself with a muffled bark. I felt I had said enough. They know. Let them feel me. Underneath the beliefs, we're part of the same awareness. Feel it. The room relaxed as the fog of thoughts cleared. We had touched someplace behind it all, and now were friends. We were in love. Eyes filled with tears. Gentle, accepting smiles. I love this feeling. We're real. The costumes are off and we're real. Together, part of a greater shared destiny. I will try to describe Avatar without conveying too many of my own beliefs or perspectives to you...because The Avatar Course is about your beliefs and your perspectives. "Imagine enrolling on a course where the study materials consist of your own consciousness. We provide navigational tools, a blank map and emotional support. It's your exploration; you have to bring your own terrain. "The purpose is to assist you in returning to the level of consciousness at which you are the knowing creative source of your own beliefs. Along the way you are going to learn that what you believe is not nearly as important as knowing how you believe. In this case, understanding the container is more important that understanding the contents. Empty the contents. Marvel at the craft that creates the bowl. "Creative source is an effortless state of being. Don't confuse it with an attitude or identity that may be on automatic and seems effortless. This state is effortless, accepting and undefined. (Desiring and resisting are efforts. Accepting and appreciating are effortless.) From this state of being you can experience anything, and within extremely broad limits (perhaps boundless) change it as you decide. "This is the state of being that we call Avatar, and we have found a very simple and very effective procedure for achieving this state. It can be done in a matter of days when presented under the guidance of an experienced master. With this sense of presence and the tools we teach you to use, you are equipped for the exploration of your own consciousness. "The course is set up in three sections. Section I is for the intellect. It's food for thought. It requires only that you listen, read, or watch and, if you wish, contemplate what you have experienced. It is intended to bring about an understanding and a connection with a broader arena of life. "Then with the Section II materials, you start exploring. Little expeditions into the backyard of your consciousness. Overnights! You practice the specific abilities and tools that are required to successfully manage what you are already experiencing in life. It's an opportunity to get your affairs in order before the big adventure begins. "Section II clarifies and expands an extrasensory perception channel to the physical universe that you may already be vaguely aware of—extended feeling. This is a non-sensory feeling that does not require physical contact. It quiets the mind and dramatically enhances your sense of being." A hand went up in the audience. "Is it like meditation?" "Yes and no. It produces the same type of mental stillness that meditation produces, but it does so in an interesting and much faster way. It's like meditation in that it is about gaining mastery of the mind—allowing the mind to still—but Avatar does it playfully without the struggle or confrontation. It's the difference between opening a safe by prying the door off or using the combination. Avatar is the combination." The group liked the analogy. Many of them have spent a lot of time prying. 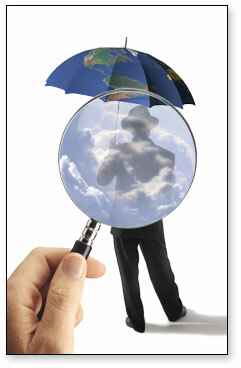 "Another exercise in Section II develops a skill in recognizing, creating and changing judgments. This really begins to wake you up to the patterns in your life. "We experience what we experience in accordance with our judgments, which are the beliefs through which we filter our perceptions. Two people may experience the same event quite differently. For one of them it is traumatic and ruins their life; for the other it is inconsequential. The difference is determined by the judgments the two people place on the experience. "The end result of this exercise is the ability to honestly relax judgment on anything being experienced. It lets you slip into your resisted experiences like entering a hot tub for a good soak. If you have been struggling with a body condition or a relationship, this exercise produces powerful realizations and turning-point experiences. "The final part of the Section II materials contains tools and exercises to remove barriers or blocks that you may have placed in front of your ability to create reality. We describe it as the most challenging experience anyone ever laughed through. It causes smile cramps in your face, increases your ability to create, and restores your control over existence." In my mind I see the smiling faces of the students who have thanked me after completing this exercise. Their moist eyes occupy a special place in my memory. I also remember, somewhat sadly, the angry face of one student who didn't make it and denounced Avatar as a fraud. He was frozen at the controls of a failing life and couldn't let go of his righteous anger. Oh well, when it no longer serves him to be a victim, time will bring him back. Just a little more effort, a little more honesty, and he will make it too. In case there were chronic victims present, I felt a little warning was in order. "If you are not completely satisfied with the results you achieve in Section II, don't go on to Section III. There's nothing in Section III that fixes poor results in Section II. If you don't go on and you decide within the next week or so that Section II wasn't worth what you paid, I'll see to it personally that you get a refund check." I smiled to myself. Has anyone ever offered enlightenment with a money-back guarantee? It’s the difference between opening a safe by prying the door off or using the combination. Avatar is the combination. "So now, Section III, the main course. Section III begins with a guided initiation session conducted by an Avatar Master. That's me until the new masters are finished with their training. "The initiation takes you on a tour of some of the most fundamental, transparent belief structures of consciousness. Transparent because instead of seeing them, you see through them. The initiation experientially introduces you to procedures and tools that you can use to self-determinedly manage your life. Normally it is an insightful and enlightening experience that may leave you in a euphoric state for some time." I'll be surprised if they're not totally blissed out and euphoric for the rest of the day, but I didn't say that. "Following your initiation you will become an expert on the solo Avatar procedures. Now you are ready to explore. With the solo procedures and the occasional assistance of a trainer or fellow student, you begin your exploration with the Avatar rundowns. Each rundown addresses an area of experiences, beliefs or attitudes that may be interfering with your appreciation of life. I'll go over the rundowns for you." "The first rundown is called Body Handle. The Body Handle processes produce effects similar to sensory deprivation tanking, but without the risk of isolation or panic reactions and much more quickly. They assist you in recognizing the beliefs that keep you identified with a physical body and, if you choose, show you how to function independently of a body. You experience yourself as a non-material spiritual being." A couple in the front row looked at each other knowingly, and I realized they had just made the decision to sign up. "Body Handle also helps you to identify undesirable perceptions and sensations that you have actually been installing in the body— the illusion is that they were coming from the body. The result is that the body is no longer held out of alignment by injurious beliefs or judgments. "Once you recognize and experience that you've been installing unpleasant sensations in the body, you can put back the sensations you wish to have. You may experience some remarkable healings." Remarkable—I've seen miracles, but I don't want trouble with the AMA. "A fascinating side effect of the Body Handle is the lucid or controlled dreaming that it produces. You learn to enter the dream state of consciousness without going to sleep. Some students have reported experiences of floating or flying and of exploring alternate dimensions." "The second rundown is called Limitations. Have you ever explored any sort of spiritual or developmental path?" Most raised their hands. "Then you are aware that we set limitations on ourselves. We say, 'I can't do this. I can't do that.' And then we wonder why we can't do it. "Children's stories talk about the little steam engine that thought he could, and the notion of positive thinking has been around for years. Well, this is a new look at the subject. "On the Limitations rundown, you eliminate specific limitations that interfere with the goals that excite you and bring you to life. You will probably not choose to handle all limitations, since some serve to focus your life. "When we get along well with people, it is generally because they are willing to wear the costume we offer them, and we are willing to wear one supplied by them. "Have you ever had someone put an identity on you that you didn't want to wear?" This brought nods of agreement from the group. "When you perceive another person without any costumes, judgments or belief filters, you perceive them as a spiritual being. It is a profoundly moving experience to purely perceive another being without any distortion. It is a compassionate space that some have called unconditional love. "The fourth rundown is called Persistent Mass Handle. It gently guides you into the most resisted aspects of your life. You can eliminate desires, compulsions, persistent pressures and pains that may have seemed beyond your control. The first sessions of Persistent Mass are done with another person acting as a facilitator. This is a very powerful process and produces amazing life-changing results. "The fifth and sixth rundowns are called respectively Universe Handle and Collective Consciousness Handle. You do these rundowns after you have resolved your own personal conflicts and wish to help the collective consciousness of life. "One of the ideas you create early in life is the idea of being someone. In fact, being someone is the experience of a belief. If you take awareness plus a belief about being someone and put them together, you get an individual. You can stay an individual by creating more beliefs that separate you further from collective consciousness—or with the Avatar procedures, you can eliminate the beliefs that cause separation, and experience a collective consciousness. You can change any beliefs you may have that separate you from pure creative awareness—the Aware Will. "In the Universe Handle rundown, you learn that all things are connected at some level of consciousness. In a sense, there is no individual consciousness, only segments of collective consciousness. With this exercise, you work on locating the limits that prevent you from joining the collective consciousness and operating within it. ...our one week West Coast delivery stretched into twelve weeks and several hundred students! "This obviously is a very high state of attainment, and students will vary in their ability and willingness to employ this technique. "The last exercise is called The Ultimate Process. It is aptly named. It is guided by another person. "The whole course takes between seven and nine days, depending upon you." I ended the talk by inviting people to reach out and feel me, not with their hands but with their awareness. Everyone in the room seemed interested. I chatted with some friends and felt relief to see a line of students form in front of the registration table. The next day we began class with eighteen new students. Within a few days the class grew so large with new arrivals that we had to move to a hotel, and our week-long, West Coast delivery stretched into twelve weeks and several hundred students! Old friends called each other with the message: "This is it! Come now!" One student arrived after hearing about Avatar from a phone call intended for his roommate. Another student received a psychic reading in which she was told to do Avatar. A third arrived because of a dream. Because so many likened the experience of Avatar to waking up, they began to refer to themselves as Awakening Masters (AMs). 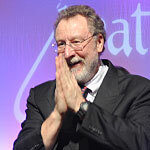 Awakening Masters sent out a long-awaited wake-up call: "The Avatar Course is what you are looking for."